Cattle are better tended on the way to the slaughterhouse than we are at airports at the hands of the Transportation Security Administration (TSA). 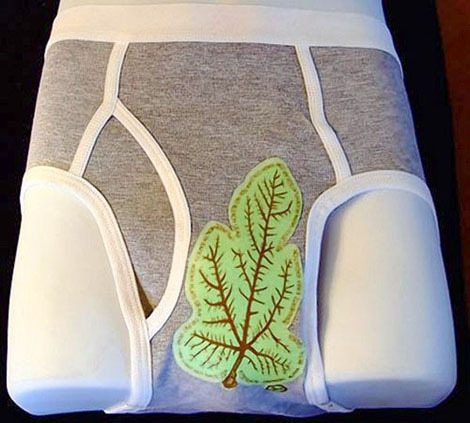 In a subversive act of revenge, a Colorado man has designed a line of undergarments for men and women made of weapons-grade tungsten lining to prevent the prying eyes of agents from feasting on our privates while in the x-ray. “You shouldn’t have to be digitally strip-searched or doused with radiation to visit your grandmother,” creator Jeff Buske told the Los Angeles Times. Buske’s idea originated after the Underwear Bomber incident prompted the TSA to set up full-body scanners at airports nationwide. He began selling the product at fairs and advertising on ads at infowars.com, a site that follows the goings-on in the intelligence community. He got so many orders through the site that he crashed the servers — and following a report by a local station, sales keep climbing. The going price? $35. The question is: do they work? Buske, an electrical engineer who used to design x-rays for General Electric tested them at hospitals and verified that the material does repel x-rays. The TSA has not yet heard of any issues resulting from undergarmets at any of its screening centers. Photo via New York Daily News. Header image “Adam and Eve” by Lucas Cranach the Elder.